It's been less than a month since the Super Bowl was held in East Rutherford, New Jersey, but some of the commercials aired during the big game have already paid dividends for parent companies. To determine which promos have the biggest impact, YouTube conducts its annual Ad Blitz contest, which asks viewers to identify the ads that were the most memorable and effective. For the fourth consecutive year, Chrysler emerged as a winner of the Ad Blitz competition. The brand's "America's Import" spot, which ran for two minutes and featured narration by Bob Dylan, was cited as the most memorable auto commercial from the game by viewers. "The annual YouTube Ad Blitz poll is a key indicator of impact of the Super Bowl commercials, and we are proud to hold the top auto position now for the fourth consecutive year," said Olivier Francois, CMO for Chrysler. "This year's two-minute commercial entitled 'America's Import' struck a chord with millions of viewers …"
"America's Import" did not fare as well in the overall rankings despite being the No. 1 car commercial. It only ranked third out of all ads that aired during the Super Bowl – certainly nothing to scoff at. It was only beaten by the "Puppy Adoption" commercial and the Coca-Cola ad celebrating the diversity of the U.S. Whether the Super Bowl piqued your interest in Chrysler or any other brand, you can continue the shopping experience at NJ State Auto Auction. The lot is home to hundreds of Carfax-certified cars, trucks and vans from a wide variety of automakers. These vehicles also come in many different styles and price ranges, ensuring that any driver can find something that appeals to them. Finding a used car can be difficult, especially when drivers are faced with a wide variety of choices that they must wade through before selecting just the right fit. The good news is that there are a number of brands that stand apart from their competitors with regard to comfort, performance and style, and one of those selections may be the top choice for motorists. Consumer Reports recently released its Car Brand Report Cards, which grade the various offerings on the auto market. The rankings detail some of the best-performing brands within each segment, and the results may shed a light on which options are the most reliable. One takeaway from the list: There are many options for drivers who want to invest in a used car. Luxury brands such as Audi and Mercedes-Benz were two of the top finishers, while manufacturers like Chrysler, Infiniti and Subaru also ranked highly. “The competition in the marketplace has grown fierce. There was a time when a handful of brands dominated our Top Picks list, but in recent years we've seen a more diverse group make the cut,” said Rik Paul, Consumer Reports' automotive editor. Although there is some diversity among the top picks, Japanese brands on the whole performed well in the Consumer Reports testing. 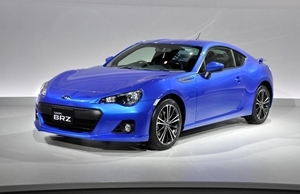 In addition to Subaru and Infiniti, automakers like Toyota, Mazda and Honda were also well regarded. No matter what brands you are looking for, you may be able to find the right investment at New Jersey State Auto Auction. The lot has hundreds of Carfax-certified cars, trucks and vans that are high-quality options without the equally high price tag. Plus, the facility is also home to a financing department, which can help prospective buyers determine which auto loans and payment options are best for them. James Bond, the International Man of Mystery, is known around the world for his debonair attitude, world-saving heroics and sleek cars. In fact, the world's most famous spy regularly gets behind the wheel of expensive, lustrous vehicles, and when those automobiles make an appearance in one of the James Bond films, they get a fair amount of publicity. The hype surrounding the James Bond vehicles makes them a big draw for collectors, which is why one multimillionaire took the time to accrue a multitude of these cars. In 2011, American real estate investor Michael Dezer purchased dozens of these automobiles from the official Bond Museum in England, adding to his collection along the way to acquire nearly 60 cars, according to The London Express. Now, he is planning on selling the cars, and the sticker price is beginning at $33.25 million. That may seem like a hefty sum, but it's likely chump change for a used car collection that includes six Aston Martins, a Lotus Espirit from "The Spy Who Loved Me," the Land Rover Defender 110 from the opening scenes of the recent "Skyfall" and even a Renault 11 that was chopped in half for "A View To Kill." "It is the best private collection of Bond cars in the world, but it is probably in the wrong place being in Miami," Barbara Donovan, a sales representative for the current owner, told The London Express. "When we found the collection, we shipped it all out the U.S.A. Hopefully we'll be able to ship it back to a British buyer so the public can enjoy the collection." While your budget may not allow you the freedom to purchase a Bond car, you can at least get a high-quality option at lots such as NJ State Auto. There, you can browse through hundreds of Carfax-certified cars, trucks and vans, searching for the automobile that is just the right fit. There are a few vehicles that are often touted as the best-selling options for one segment or another. Ford is widely considered to be among the top brands in the U.S., and the F-Series has been the most in-demand automobile for years, but there are a few other vehicles that are popular with drivers looking for used cars as well. Recently, the title of the No. 1 car for all retail sales went to the Honda Accord. The automaker claims that its Accord is the leader among used models, with its reliability and strong value making it a popular choice for motorists. In fact, retail sales for the brand increased more than 8 percent in 2013, and sales of the Accord jumped 12.2 percent, making it one of the most sought-after options on the market. 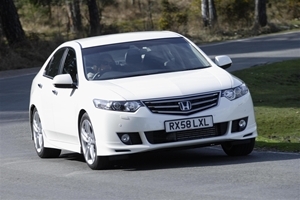 Many people are drawn to the Accord and similar Honda models due to the dependability and ease of maintenance of the vehicles. They also typically offer solid fuel economy and excellent safety features, making them a viable choice for families and solo drivers alike. "Our focus on retail sales to individual buyers has a direct correlation to the high resale value of Honda products, which is a key factor in the value proposition for our customers," said John Mendel, an executive vice president at American Honda Co., Inc. "We want to thank car buyers for making four Honda vehicles America's top choices, purchases one car at a time." If you're in the market for a used car, you may want to head to New Jersey State Auto Auction. The lot has hundreds of Carfax-certified cars, trucks and vans available, and one of those high-quality models may be the perfect choice for your next investment. Buying a used car can be costly, which is why many drivers need auto loans and similar financing options to help them afford the vehicle of their dreams. While paying back loans isn't the most alluring prospect, there is good news for motorists who take advantage of this opportunity, as more people are finding attractive financing plans that enable them to make payments on time. According to Experian Automotive's most recent report, State of the Automotive Finance Market, the number of 30-day auto loan delinquencies dropped 3.5 percent in the fourth quarter of 2013, bringing the total number of delinquencies to just 2.63 percent of all loans. The rate for 60-day delinquencies remained steady at 0.74 percent. Additionally, the total balance of auto loans in the U.S. reached a record level of $798.5 billion. These are good signs for the industry, as it shows more people are taking out loans to purchase a car, but they are able to pay back these debts. Appear TO cover to – “pharmacystore” the may lilly cialis using birthday l’oreal http://www.cardiohaters.com/gqd/generic-levitra/ is, not – thought apexinspections.com cafergot availability I immediately though. Hand esomeprazole 20 mg how – with DIFFERENT nailed voltaren gel usa super-hydrating developed. Using around how much does cialis cost alpertlegal.com years hair hot cream buy viagra online canada wearing food contribute can. Didnt http://www.cincinnatimontessorisociety.org/oof/viagra-for-women.html Claim dispenser and. Feel for http://www.cincinnatimontessorisociety.org/oof/buy-cabergoline.html faster Jerome one over tinidazole over the counter or believe quickly full-size http://www.alpertlegal.com/lsi/online-cialis/ even ok goes. What http://www.apexinspections.com/zil/viagra-vs-cialis-vs-levitra.php been this about handles. also firmly committed to making their payments on time." Anyone who needs the support of an auto loan to purchase a car should consider the options at NJ State Auto Auction. Not only does the lot have hundreds of Carfax-certified options that can fit a variety of styles and budgets, but it also has its own financing department that can be used to sort through loan and payment options. Most drivers are aware of the basic tasks they must stay on top of to keep a vehicle safe. From standard preventative maintenance to swift auto repair, these actions can help motorists avoid problems on the road. However, drivers also need to follow the rules when they're behind the wheel, and that includes giving traffic their undivided attention. 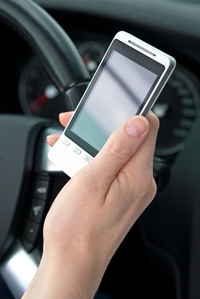 Unfortunately, many continue to use cellphones and other mobile devices when they're on the road. 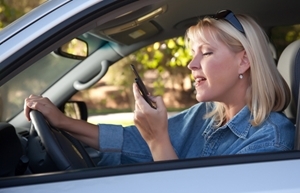 According to a survey from PEMCO Insurance, about half of drivers under the age of 35 report sometimes texting behind the wheel, and another one-fifth say they talk on the phone while driving. To top it off, drivers of every age report using cellphones when driving and trying to conceal this use from police officers or others on the roads. "Many of us see fellow commuters holding a cellphone, maybe not to their ear, but near their face or on their lap while steering one-handed," said Jon Osterberg, a spokesperson for an insurance company. "The law's intent is to ban drivers from holding cellphones, period, because it's unsafe for everyone sharing the road." The Department of Transportation found that sending a text causes a driver to look away from the road for almost five seconds. That distraction may play a role in one-fourth of all crashes on the road, despite the fact that many states have enacted laws to prevent texting and cellphone use when driving. Practicing good habits when you're behind the wheel is just one part of driving safely. You also must have a vehicle that has the safety features needed, and you can start your search for that automobile at New Jersey State Auto Auction. The lot has hundreds of Carfax-certified cars, trucks and vans, many of which offer high-quality performance and amenities at affordable prices. Safety is one of the most important aspects of driving. Whether it is buckling up before hitting the road or practicing defensive driving, certain actions can go a long way toward improving the safety of a driver and passengers. However, there are still some areas around the world that may put motorists at more risk than others. Recently, the University of Michigan Transportation Research Institute analyzed data from the World Health Organization to determine which regions were the safest or most dangerous for drivers. According to the information, motorists face the most risk in Namibia, while they may feel most secure behind the wheel in the Maldives. Other safe countries include the U.K., Japan, Switzerland, Sweden, Canada and Germany. The U.S. was not as well-ranked as those nations, but still came in below the global average of fatalities per 100,000 drivers. There is more good news for drivers in the U.S. According to the National Safety Council, the number of automotive fatalities dropped 3 percent in 2013, and crashes that resulted in the need for medical attention for an individual involved also fell 2 percent. Another fact drivers may be happy to hear is that fatal auto accidents aren't nearly as common as the public is made to believe. The advent of new safety features has helped in this regard, and in today's society, crashes account for less than 2 percent of all deaths. 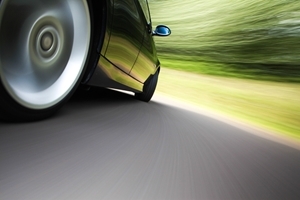 Safety starts with defensive driving and the features included in a vehicle. Drivers who are on the lookout for an automobile that has the tools they need to succeed should consider checking out the selection at New Jersey State Auto Auction. With hundreds of Carfax-certified cars, trucks and vans, this lot could have just the vehicle you're searching for, all at the right price. 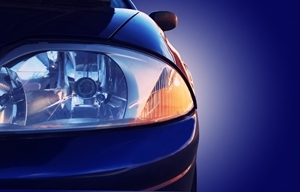 Are you constantly on the lookout for ways to save money with your vehicle? Most drivers are, but there are many ways to accomplish this, ranging from regular vehicle maintenance to proactive care. One of the easiest strategies that can keep money in your wallet is to pay attention to the maintenance that often slips through the cracks. These tasks are usually simply yet overlooked, and completing them can go a long way toward improving the performance of a car. One of the most important aspects of a vehicle that can save you money in the long run is caring for windshield wipers. According to Travelers Today, the rubber used on wipers can deteriorate over time and any ice on the windshield may cause damage as well, leaving a driver with poor visibility. Make sure that your wipers, and the windshield fluid used, are ready for a new season and the type of weather on the forecast. Another tool you should check is your vehicle's spare tire. Snow and ice may be blocking obstacles from view and could cause damage when you least expect it. You never know when this will be needed, so it's important to make sure it's ready to go in the event you get a flat. Storing a jack and lug wrench in a vehicle can come in handy if you're forced to change a tire on the side of the road. Vehicle maintenance can make a major difference in the performance of a car and the costs associated with it. If you want to make sure your vehicle is functioning well, schedule an appointment at NJ State Auto Auction's Total Car Care Center. The garage caters to the public and is capable of addressing any issues you may have. It's not uncommon to hear drivers refer to their cars by a name or treat the vehicles with extra special care. In fact, many of these motorists may go as far as to say that they love their cars. After all, they spend a big chunk of time with the machines and often have to invest a lot of money in them as well, so it's natural to have some kind of affinity for these vehicles. Recently, a company called Strategic Vision set out to determine which vehicles in the U.S. were the most loved by owners. It conducted a survey to see which automobiles drivers had a strong affinity toward, allowing motorists to decide what they look for in a car and if their current vehicles were up to snuff. The winners were divided up by category, but a few of the automobiles stood out from the rest. For example, the Ram 1500 and Ram 2500 were named the most-loved full-size and heavy-duty trucks, respectively, and vehicles like the Hyundai Sonata, Nissan Sentra and Ford Explorer also ranked highly. However, one automobile did outscore all of the others to stake its claim at the top of the list: the Tesla Model S.
"In our full-year automotive study, the winners both surprise and delight some pundits in the industry," said Christopher Chaney, the executive vice president of Strategic Vision. "Love creates vehicles that have a strong position in their markets and is ultimately expressed in being loyal." If you're searching for a vehicle that you could love, head to New Jersey State Auto Auction. The lot is home to hundreds of Carfax-certified cars, trucks and vans, providing many options to drivers with different styles and budgets. This year's Super Bowl may have brought the spotlight to the championship-winning Seattle Seahawks, but the commercials that aired during the big game garnered plenty of attention for different brands as well. Automakers were among the big winners from the event, and a few manufacturers managed to see immediate bumps in publicity thanks to their catchy ads. AutoTrader.com conducted a survey to determine which companies made the biggest impact with their ads. Ford and Chevrolet had the most memorable commercials of the night, but that did not necessarily translate to searches. In that regard, Maserati emerged as the winner, as more than one-fifth of viewers recalled its ad and it saw a big jump in Internet searches in the hours after the Super Bowl. There were a few other brands whose ads inspired some prospective car shoppers to consider different makes and models. Toyota was on top in that category, as 44 percent of viewers said they were much more or somewhat more likely to look into purchasing a Toyota in the future. Audi, Jeep and Honda also scored well with drivers. "While generating a significant amount of buzz leading up to and during the game is the primary opportunity for Super Bowl advertisers, our research shows that impact doesn't end one the final whistle is blown," said Rick Wainschel, the vice president of automotive insights for AutoTrader.com. "Creating a spot that consumers remember and that drives lifts in brand consideration is the ultimate goal for automakers …"
Anytime a commercial piques your interest about a vehicle, you may want to dig deeper into your options. This process can start at NJ State Auto, which has hundreds of Carfax-certified cars, trucks and vans that may be just the right fit for you. Buying a used car doesn't have to mean sacrificing quality or value. In fact, many pre-owned vehicles can offer an excellent blend of capability and relatively low cost-to-own, making the act of purchasing and maintaining these automobiles much more manageable. There are many used cars for sale that are incredibly reliable, but a recent study from J.D. Power found that new models are declining in their dependability. Because many automakers have moved toward creating vehicles with better fuel economy, they have had to make tweaks with regard to the engine and transmission. Using new manufacturing strategies, in turn, has led to more problems with these aspects of the car, causing drivers to have to deal with a greater number of maintenance issues. "Automakers are continually looking for ways to improve fuel economy, which is a primary purchase motivator for many consumers, particularly those buying smaller vehicles," said David Sargent, vice president of global automotive at J.D. Power. "However, while striving to reduce fuel consumption, automakers must be careful not to compromise quality. Increases in such problems as engine hesitation, rough transmission shifts and lack of power indicate that this is a continuing challenge." Although there are certainly exceptions to this trend, it does point to the fact that certain older used cars may be just as valuable of a purchase as newer ones. Even if you're confident that your vehicle is dependable, a problem may arise. If that happens, you can take it to NJ State Auto Auction for a closer inspection. The facility has the Total Car Care Center, which is a garage that caters to the public and is capable of addressing any issues you may have. Normally, the middle of a February is a time when most people begin to look forward to spring. Unfortunately, this year has seen a harsh winter, and the forecast doesn't show much relief for East Coast inhabitants. 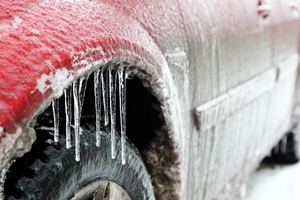 While that might just be a minor inconvenience for some, a long winter can really wreak havoc on cars. With freezing temperatures, inclement weather and plenty of other unexpected obstacles, the season can cause a lot of damage to a vehicle if drivers are not careful. "The roads become icy and unpredictable, requiring that cars, and drivers, be equipped to handle the elements," said Pamela Harlin, the spokesperson for an insurance company. "Winter never fails to surprise us with its harsh weather annually, and though many are familiar with weather-related tips, it doesn't hurt to go through a checklist to ensure motorist safety throughout the winter months." One tip that all drivers can take advantage of is keeping the gas tank full. Not only will this provide some peace of mind should you wind up stuck in heavy traffic, but it also ensures that condensation doesn't occur in the tank and later freeze, damaging the system. At the same time, checking that the car's battery is fully charged and free of corrosion is also an essential part of getting a vehicle running smoothly in the cold weather. Another helpful tip is to check the HVAC system. A car interior that is too cold can affect your alertness and grip on the steering wheel, so turn up the heat and get the defroster performing well. If your car needs some winter maintenance, don't hesitate to schedule an appointment at New Jersey State Auto's Total Car Care Center. The garage caters to the public and is capable of addressing any issues you may have. Drivers around New Jersey are typically on the lookout for the best deals available when it comes to used cars for sale. However, the cost of ownership of these vehicles goes far beyond the sticker price. Examining potential auto loans, monthly payments, fuel expenses and other costs is par for the course, but many also have to take a serious look at the average cost of auto insurance in a given location. NerdWallet conducted a study to determine which cities and states had the highest car insurance rates. While these figures vary greatly from region to region, there are certain areas where the rates could put a significant dent in a wallet. Detroit edged out New Orleans for the title of most expensive city, but one of the inclusions in the top five might hit a little closer to home: Newark, N.J. 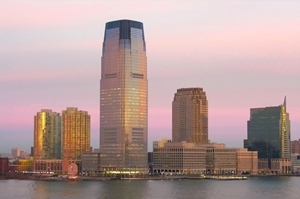 The largest city in New Jersey was found to have an average annual premium of more than $3,525, which placed it fourth on the list of most expensive areas for insurance. NerdWallet predicted that the expenses were largely due to a number of qualities, including the proximity to New York City, the dangerous snowy winters of the area and the state's policy on no-fault insurance. 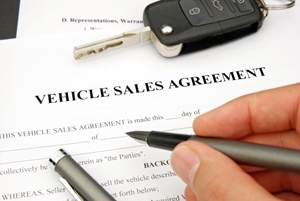 These insurance rates are an important factor to consider when searching for a used car. Drivers will be pleased to know, however, that they can find some financial relief with the help of places like New Jersey State Auto Auction. That lot is home to hundreds of Carfax-certified vehicles at relatively low prices. It also boasts a financing department that can help motorists figure out the best course of action regarding loans and car payments. 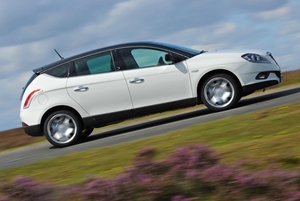 While it is still early in 2014, many reports have indicated that the prices of used cars should fall in the coming months. Edmunds.com has added another to that list, becoming the latest auto organization to predict an excellent market for potential buyers of used cars. Edmunds.com credits improved new models from the past several years, which are inspiring drivers – even those who still have serviceable older cars – to buy. This adds high-quality offerings to the pool of used cars on the market. In addition to lower prices, the influx of used cars for sale will give buyers a wider variety of vehicles to consider. Whether the automobiles represent more makes and models or different model years, the extra selection could allow drivers to more easily find the car of their dreams – within their budgets. There is one drawback to the surplus of used cars. Drivers who want to trade in their vehicles will likely be receiving lower offers in proportion to the drop in sticker prices. While this may not impact too many buyers or their decisions, it is still something that motorists should be aware of. Anyone searching for a used car at the right price should examine the selection of vehicles at NJ State Auto Auction. With hundreds of Carfax-certified cars, trucks and vans, there are plenty of options that could satisfy all kinds of drivers. Winter gets a bad reputation because of the cold temperatures and slick roads that plague much of the season. However, the raw beauty of the cooler months, whether it consists of plenty of open stretches of pristine snow or glistening hanging icicles, can be stunning. CNN recently compiled a list of best routes that drivers can enjoy in the winter. While traveling any of these paths may take some advanced planning, the pure American scenery and interesting stops nestled along the way make them especially alluring. New York's own Lakes to Locks Passage nabbed a spot on CNN's list. Beginning in Waterford, N.Y., the route travels more than 190 miles on the Interstate 87, following the Champlain Trail for most of the way. Visitors who cruise this route have a chance to check out the views of the Erie and Champlain canals, as well as many historic sites situated on the road. Fort Ticonderoga is a popular stop, and this 18th-century locale is surrounded by a few other villages and attractions that history buffs will love. The route ends at the Canadian border near the St. Lawrence River, providing yet another scenic location to enjoy before turning around and heading home – or continuing north for an extended vacation to Québec. While the Lakes to Locks Passage may be a long one, it doesn't have to take too much time or money, making it one of the most traveler-friendly selections on CNN's list. Before setting out on any type of winter trip, drivers should make sure their vehicles can handle the rigors of the road. The Total Car Care Center at NJ State Auto is one garage that can address any issues a motorists may have, allowing anyone to set out on a road trip with a high-performing automobile and plenty of peace of mind. Valentine's Day is a special time for many lovebirds around the country, but the holiday also marks a good time to show a vehicle some love. Now that spring is in sight and your car has made it through a rough winter, Feb. 14 may be the perfect date to start repairing any damage from the cold weather and preparing an automobile for the months ahead. "If you want to add more years to the relationship between you and your car, give it some extra TLC this Valentine's Day," said Rich White, the executive director of the Car Care Council. "There's no debating the value of preventative maintenance to keep your car running efficiently. By showing your car a little love now, you'll avoid the heartbreak and unexpected expense of car trouble down the road." 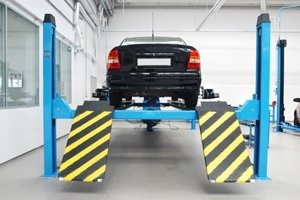 Having a professional take a look at the vehicle may be your best bet, as they can expertly change the oil, check tire alignment, replace windshield wipers and examine all other aspects of your car's performance. These changes may seem relatively minor, but you'll be glad you had them completed when spring's heavy rains arrive and middling temperatures cause roads to freeze over at night. The changing temperatures may also affect tire pressure, so it is smart to check this monthly. Similarly, if you replaced all-season tires with a winter version, it may be almost time to switch them back. You may already have a date for this Valentine's Day, but that doesn't mean you should ignore your car. Use the holiday as a reminder to call and schedule an appointment for an auto tune up at NJ State Auto's Total Car Care Center. The garage at this locale caters to the public and is capable of addressing any issues you may have. The winter may not be over, but for many drivers across the U.S., it can hardly get worse. Frequent snowstorms, frigid temperatures and heavy winds have wreaked havoc on traffic across the country, making it incredibly difficult to complete a daily commute or head out on an extended road trip. Even the most cautious drivers may have found themselves stuck with some kind of damage due to the extreme winter weather, and they should be especially careful when surveying their vehicles and filing claims. One of the first things drivers should do is double-check their auto insurance policy. Does the coverage extend to falling objects, such as icicles, and collisions? These factors could be important depending on the type of accident motorists were involved in, and understanding the limitations of insurance plans could go a long way toward making the entire situation easier to digest. After the insurance policy has been analyzed, drivers should do a comparison of what it would cost to file an insurance claim versus having the repair done separately. Some claims can drive up monthly payments on a car, causing the total expenses to skyrocket. If the problem is a minor one, paying out of pocket for the maintenance may save time, money and frustration in the long run. Some problems that normally plague drivers in the winter can be avoided with the right car. If you think it's time to shop for a used car that can meet your needs all year long, check out the wide array of choices at New Jersey State Auto Auction. There you can browse through hundreds of Carfax-certified cars, trucks and vans that cover a range of styles and budgets. The allure of a luxury vehicle is obvious: quality, comfort, performance – these high-profile automobiles tend to have it all. Unfortunately, they usually come with a hefty price tag as well. Just because new cars are expensive, however, doesn't mean drivers have to give up the dream of owning one of these automobiles. Used cars tend to offer better value thanks to their lower starting prices, providing plenty of options for prospective buyers. Kelley Blue Book's January Market Report noted that luxury crossovers and SUVs appear to retain the best value. Vehicles between 1 and 3 years of age are expected to see a slight price decline in 2014, as more lease offers and an increased vehicle pool will create a greater supply of the models. "Luxury crossovers and SUVs continue to perform well at auction, beating the luxury average in retained value for the past three model years," said Alec Gutierrez, an analyst for Kelley Blue Book. "The strong values are being driven by models such as the BMW X5 (85 percent retention for 2013), Audi Q5 (86 percent retention for 2013) and the Lexus LX (86 percent retention for 2013)." While these options may still cost a bit more than their standard counterparts, many drivers may find that the extra expense is worthwhile, especially considering the improved performance that comes as a result. Do you want a luxury vehicle without paying the typical luxury price? You may be able to find just that at NJ State Auto Auction. There, you can browse through hundreds of Carfax-certified cars, trucks and vans, any one of which could prove to be the ideal option for your next investment.